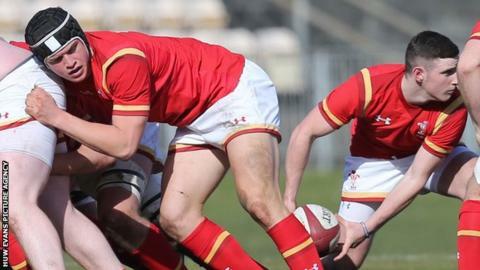 James Botham, the grandson of England cricket legend Sir Ian, scored on his Wales Under-18 debut as they beat Scotland 31-30 in Swansea. Centre Corey Baldwin crossed twice for Wales either side of Botham's first-half touchdown. Joe Goodchild scored to put Wales 28-13 up at the break, before Scotland rallied with a try by Ben Eynon. Botham was sin-binned but Ben Jones' late penalty took his own points tally to 11 as Wales held on for victory.